Novi Pella Windows | Novi Pella Window Replacement | Novi Pella Wood Windows | Novi Pella Fiberglass Windows | Novi PellaMcGlinch & Sons CO.
McGlinch & Sons Co. Home Improvements has been serving the Greater Detroit Metropolitan Area and Southern Michigan since 1917 and if you’re looking for a professional to install windows in your home, you found the right place! McGlinch & Sons is a family-owned and operated business that preserves only the top values combined with customer satisfaction, and we are very proud to carry only the best Pella windows products. Our clients understand that when they go with Pella windows, they are getting so much more than a window because they are getting a highly appreciated product! In addition, they realize with McGlinch & Sons, they only get the best in skill and service. The Pella windows we carry are built to last and to bear whatever Mother Nature brings. Pella window replacements provide the good-looking fine points that clearly differentiate them from the competition and that’s why our customers prefer Pella wood windows or Pella fiberglass windows! Furthermore, the people of Novi are pleased with an energy efficiency of up to 74% that they have received with their new Pella windows, which McGlinch & Sons installed for them! Novi is approximately 25 miles northwest of the center of Detroit and only 25 miles from Ann Arbor. The population of Novi is just over 55,000 and has increased in size since the year 2000. Novi is a city in Oakland County, Michigan and is a great place to call home. Novi is also located on Walled Lake, which is the biggest lake in the city. McGlinch & Sons is renowned for always being punctual, working thoroughly and completing projects on schedule and within our Novi customers’ budgets. We have a huge collection of Pella window products that carry the finest in features and are the ultimate in presentation and extravagance. Our Novi customers are guaranteed to get the Pella windows that are engineered to meet their window plans and at the same time deliver the worth and functionality they have been looking for. Furthermore, McGlinch & Sons uses some of these values on a daily basis, honesty, reliability and virtue; we founded our company around these traits. Our clients have faith in our Pella window products and our work because we have proven our abilities over the years! McGlinch & Sons has the Pella window replacement products that will enhance the look of your home, no matter what your taste may be! We offer a diversity of both interior and exterior designs with colors that will compliment your home entirely. So in spite of the style, we hold the following types of Pella windows: Double Hung; Sliding; Casement; Awning; Single Hung; Bay & Bow; Specialty and Special Shapes. Don’t worry because you rely on the Pella window products at McGlinch & Sons to increase the loveliness, worth and curb appeal of your home. If you want more information regarding our Pella window replacement products or any other home improvement developments, give McGlinch & Sons a ring today at: Oakland: (248) 987-6300, West Side: (313) 278-2777, or East Side: (586) 776-8912. 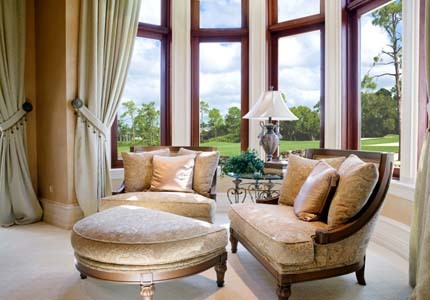 Because when it comes to Pella windows, McGlinch & Sons Co. Home Improvements has the best!